Do you have a moisture problem in your home? Without proper intervention, moisture in your home can compromise its structural integrity and put you at risk for mold. But with our help, you can protect your property as well as your family. At Carolina Weatherization, we offer home moisture control solutions for customers in Raleigh, NC. Protect your home from moisture-related damage and the costly repairs that could come with it. Call us today for more information about our home moisture control services or to schedule an estimate for your property. Great workmanship and communication. Recommended. Outstanding work! On time, considerate, very pleasant. I loved working with Richard, Heath and the rest of the crew. Matt was awesome providing us with estimate and customer service. Highly recommend! Carolina Weatherization far exceeded my expectations. The team was on time and very professional. Their knowledge on air flow and insulating properties is above par. From the time they began working until the last blown insulated area, no short cuts whatsoever. Cleaned up like they were never there when the job was done. Matt you and your team are A+++++++. Thank you so much. On the first day the temperature was 85 degrees outside and my house was 72 inside, without even turning on the air condition. Will definitely recommend this contractor to friends and neighbor. Carolina Weatherization provided great service and communication to us from the first contact to the final wrap up. We upgraded our two story house from R-32 to R-49 and have been completely satisfied with their work. All associates were very professional, and they cleaned up at the end of each day. 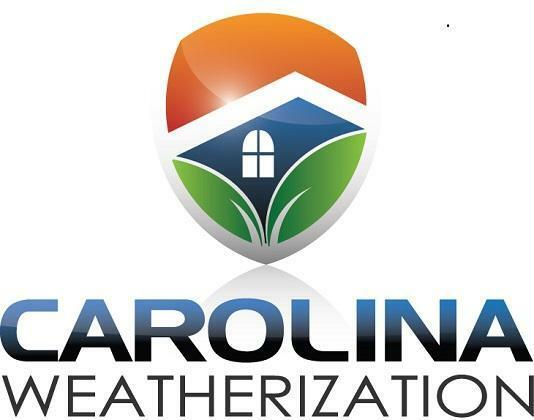 I am happy to recommend Carolina Weatherization. Went far beyond our expectations with reinsulating our Attic and sealing the pull down door. Made our 1973 attic insulated better than a new build. We are so pleased with it I should go up there more often just to look at it!!! Lol. Matt Phillips has been awesome to work with! He provided us with a very fast quote on weatherproofing our crawl space, and also installed a bathroom vent fan for us. He managed to squeeze us in right before the holidays with a week’s notice, and we now have a great bathroom vent. I would definitely recommend Carolina Weatherization for any weather/water proofing needs. Carolina Weatherization was an impressive company from the start with their professionalism and knowledge. From the initial quote with Matt to the finalization of the project, everything was done properly and efficiently. The team of men that completed the project were on time daily, laid out blankets on the floor to not get our home dirty, and worked consistently until the end of each of the four-total work days for two separate attic areas. Everything was cleaned up after each phase of the work. The final product was impressive- very high quality work and materials were used. The temperature difference with having everything sealed off and insulation re-blown was astounding and we are very excited to have an energy-saving home. Would highly recommend this company for insulation projects. 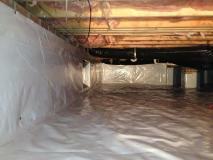 We had Carolina Weatherization encapsulate our crawl space with a dehumidifier. They added more insulation to our attic and extended vents to our sunroom. We were very pleased with their work. Matt and the entire crew were professional, courteous and cleaned up after every phase of the work. We recommend this company! I contacted Matt Phillips about our damp, musty crawl space and we decided together that Encapsulation was the permanent fix for us. The workers were very friendly and professional. High quality work was performed and we are extremely pleased with the outcome. We can already tell a big difference in the humidity level under our home. I highly recommend Matt and Carolina Weatherization for all your future insulation needs. I had Carolina Weatherization redo a radiant barrier, that was installed by another company, which was falling apart. Matt Philliips responded to my inquiry very quickly and came out in a few days to see what had to be done. He was prompt with an estimate, and had his team come out sooner than expected, as he had a cancellation. The workers were very professional and got the work done in a timely fashion. Plus they did a great job. I have a little more insulation work to be done, and I know who I will be calling, Carolina Weatherization. I was very impressed with the friendly staff, their promptness and quality of work. I had insulation blown through my entire attic, LED air-tight lights installed and all openings sealed to prevent airflow between living space and the attic. Two men worked in my house from 8am-5pm for two days and the manager came by several times to help/supervise. Excellent work, I'll always use them for any insulation needs! If I could give 10 stars I would. Matt and his crew were fantastic. I received 3 quotes to have my crawl space encapsulated and my attic insulated after my furnace ran for 4 days straight and my house was 55 degrees during a really bad cold snap. The other 2 quotes were a joke! Matt gave incredibly fair pricing and wasn't trying to "sell" me a bunch of stuff I didn't need. We had the duct work replaced, all the insulation, a sump pump installed as well as a dehumidifier and the vapor barrier. They also worked to close up my porch area due to a problem I have had with cats living under my house. This was a tough crawlspace to do (the house is 150 years old) and took 2 weeks, but the guys really looked out for me and made sure they did everything right. I would highly recommend this company to anyone looking to have their crawlspace encapsulated and their attic insulated. They are fantastic and definitely don't rip you off at all. Thanks again Matt! The company was the first to correctly find and diagnose the issues in our older home, developed a plan and budget and professionally executed. As noted in the title...we are seeing a big difference from Day 1 of completion. The company is responsible and easy to work with. The crew that did the work are all company employees and have a stake in seeing the work done right. They have given us comfort in our home after other companies dropped the ball. We used Carolina Weatherization for our crawl space, attic, sealing all vents and ducts, and to insulate the outside of our daughter's room which is over the garage. From start to finish, Matt and his crew were incredibly professional, polite, and did an amazing job. They kept me informed of their progress multiple times a day. The finished product was excellent. I can't believe how good the crawl space looks now, and more importantly we can feel a substantial change in how our home feels. I can't wait to start seeing lower energy bills! I can't recommend Carolina Weatherization enough! 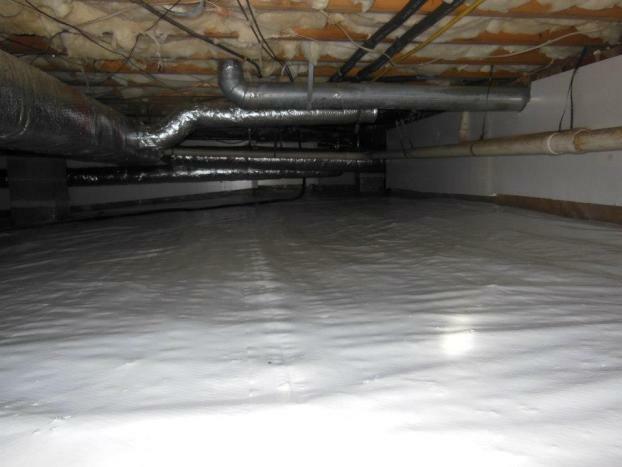 When we were selling our home the inspector found that our crawl space had a serious moisture problem. I thought for sure this was going to prevent the sale of our house. I called Matt at Carolina Weatherization to come out and see if they could take care of this moisture problem. Not only did he assure me he could fix it by installing a vapor barrier and sealing up the crawl space Matt and his guys had the job done and the crawl space absolutely dry in a matter of days. DRY! This relieved a lot of my stress and was done well before we were closing on our house. I will definitely be calling Matt for any issues with my new house and highly recommend Carolina Weatherization to anyone in need of this type of work. Matt and his crew are all great guys. No pressure and honest hard working group. I needed quotes for several things and kept changing my order, it was all good. I inspect insulation on new homes so I know the hidden spots that are often over looked. These guys got them all ! My 1950S house is now very energy efficient. Highly recommend these guys for any project. These guys know their business well from the top down to a man. I interviewed with 5 different companies, asking what they would do to make my home more energy efficient and reduce my energy costs. I concluded after speaking with Matt Phillips that I didn't need a roof line radiant barrier (which I was initially interested in) but rather needed to primarily seal air leaks between my attic and 2nd floor, and elsewhere throughout the home. Carolina Weatherization confirmed that I had made a wise decision in selecting them. Before and after blower door tests resulted in a 30% reduction in air leakage. My HVAC units are working much less. The house is less dusty. I am using a Time of Use meter with Duke Energy, with the objective of consuming low cost kilowatts during off-peak hours and avoiding the consumption of energy during peak hours. I've programmed my Thermostats for the A/C to not run during peak hours from 10am to 9pm. That's 11 hours during the heat of the day. The house is holding it's temperature very nicely without running the A/C. On days with temperatures in the 90's, the temperature has only risen from 75 deg to 78/79 deg over the 11 hours without even running my A/C. I can't wait to see my next Duke Energy bill for August! Lastly, the Carolina Weatherization staff was highly courteous and professional. It has been a pleasure doing business with Carolina Weatherization. After years of increasing moisture and mold in our crawlspace we finally decided to do something about it. 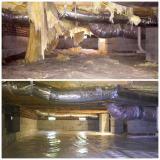 Matt advised on the most practical approach to remove the high humidity and take care of a backed-up crawlspace drain. 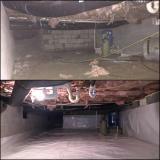 They installed a robust dehumidifier and sump pump, improved the overall flooring, and sealed openings to the outside. Already the humidity in the crawl has dropped considerably, and there is no longer a musty smell in the home. It was a pleasure to work with such an efficient and knowledgeable team. I would highly recommend their work. 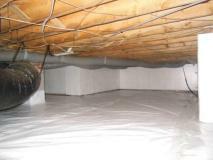 I highly recommend Carolina Weatherization for attic insulation projects. 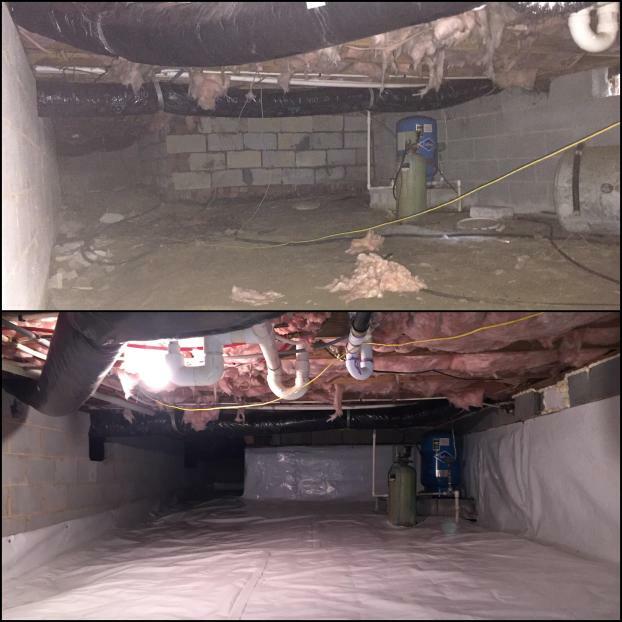 Starting with a thorough assessment of our home's needs (crawlspace and all), Matt provided a detailed quote with a competitive price and was patient and responsive as we negotiated scope. Once the work began, Ed and Joey led a professional team who not only did great work but were very polite towards us and notably respectful towards each other. The job took about 1.5 days and involved restructuring part of the attic, adding a considerable amount of insulation, and sealing both the attic and HVAC system throughout the house. After completion, Matt returned to evaluate the work - all high quality - and address remaining questions. They are even handling the paper work to get our rebate from Duke Energy. Overall, we are completely satisfied with our experience and would recommend to anyone. If you're looking for a contractor that specializes in insulation and weatherproofing I'd recommend you consider Carolina Weatherization (carolinaweatherization.com) out of Raleigh. My 2000-built house needed an attic insulation do-over, and these guys did thorough, professional, and technically correct work. Not the lowest bid, but they knew what to do and got it done to my complete satisfaction. If you are in need of insulation, look no further. Carolina Weatherization is one of the best companies that I have ever worked with. The are professional, dependable, show up on time and show up when they tell you they will, and provide the service for a fair price. They go above and beyond to make sure you are satisfied. Matt is an excellent communicator and will keep you informed through the whole process. When they did our attic insulation and some work in the crawl space, the job was supposed to take most of 2 days. The day of the service 2 crews showed up and they completed the project in 1/2 a day. 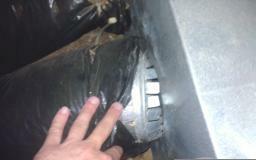 We had Carolina Weatherization encapsulate our crawl space with a dehumidifier. They also added more insulation to the attic and extended the vents to our sunroom. We were very happy with their work. Matt and the entire crew were very professional, courteous and cleaned up after every phase of the work. We highly recommend this company! Had Matt encapsulate our crawl space. His team did a fantastic job in a very tight space. They were on time and very polite. they showed up everyday until the jod was complete. I would highly recommend Matt and his team. A job Well done and a pleasure to work with! My crawl space has never looked so good, I take my shoes off when i go under the house now. They really did a nice job weatherizing my crawl space. sealing all of the access points running into and out of my foundation and into the upper floor of my house..( Plumbing,electric, fireplace, vents and all around the foundation where the upper structure meets. They installed a dehumidifier with a wireless monitor for inside the house. I can see the temperature and humidity of my craw space and make any adjustment that i want to, raise or lower the humidity. The unit turns its self on and off as needed when set on Auto. The work they did will definitely help reduce my energy requirements. I found them to be very competitively priced, and based on the work they did a good value. Matt and his crew were great to work with. Came up with some creative ideas we had not thought of, were efficient and clean, and did a fantastic job. We couldn't be more impressed by our experience with Matt, Jamie, James, and Richard. Professional, highly skilled, experienced, conscientious, respectful, helpful, pleasant are words that fit them. They take such pride in their high-quality work. They work so well together. When you hire this company, you are not just dealing with a representative or supervisor and then the workers are an unpredictable entity. They are a real team. It was a pleasure to have them working in our home. We hired them to seal and insulate our attic which had not been sufficiently sealed or insulated when the house was built in 1970. Their work means even more to me than energy efficiency as I have a lung disease that was not helped by breathing air leaking from the attic. That was taken very seriously by Matt when he first came out, and by the others when on the job. They worked diligently to seal all penetrations into our living space. Where another company representative said "we will seal what is accessible," Matt explained what they would do to make sure they could access all areas -- some of them very tight as we have a split level home. With this company, it isn't just "this is what we do and this is how much it will cost." Matt takes an interest in the customer's needs and patiently considers the whole picture, then offers what can be done to meet those needs. He comes out the first day of the job and is in contact with the crew throughout the job. The crew is well-informed about what is to be done and carefully follow up on everything agreed to. Matt then come back for a final walk through to make sure everything is satisfactory to the customer. We are completely satisfied. Our attic looks amazing and their work is already making a big difference in our indoor air quality as well as to the efficiency of our HVAC system. Their work is also competitively priced and we think reasonably priced for what was done and how it was done -- well worth the cost. Had the insulation in my attic completely redone by Carolina Weatherization as well as the insulation in my crawl space replaced and dehumidifier installed. Extremely pleased with the services provided by Carolina Weatherization. Matt, Ed, and their crew were punctual, thorough in every step of the process, and overall provided me with great customer satisfaction. His crew kept me informed on every step of the service and if there were any issues as they came up. They even alerted me to a plumbing leak underneath my house that if I had let go much longer, could have turned into something major. Can't give enough positive feedback on the experience I had with Carolina Weatherization! Matt and the entire team at Carolina Weatherization were a pleasure to do business with. 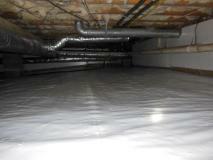 We contracted with the team for an attic sealing and insulation project at our home. All facets of the project were handled professionally and efficiently: from quoting, scheduling, to completion of the work. Great crew. Great work. Great results. From my first interaction with Matt and his company I was pleased with every aspect of the experience. Matt listened to what the issues were with our house and provided several options to remedy the air leaks and inadequate insulation in our crawlspace, attic and kitchen without trying to sell us a solution we didn't need. His employees were professional, hardworking and conscientious. I highly recommend Matt and Carolina Weatherization. Matt and his team at Carolina Weatherization were recommended to us by neighbors. From the first communication to the completed project for us, Matt was professional and helpful. He was very thorough in explaining what he felt was the optimal resolution to our insulation problem. His team was professional, polite and very helpful! I cannot speak highly enough about our experience with Matt and his team at Carolina Weatherization. We highly recommend their service! Matt and his crew were great . The job was done in a timely manner. The guys were awesome and the job site was kept clean. They were always available to answer all my questions. I'm so glad they did my house. Thanks again. Had a 91 year old house insulated in the attic and under the house. Carolina Weatherization did a very thorough job! They were very professional and courteous, and were even flexible in their schedule, working around my HVAC installation. I am reccomending them to anyone who has insulation needs in the future. Came in and put insulation under house and vapor barrier. Excellent job, easy to work with, cleaned everything up. Would HIGHLY recommend. I was so impressed with Matt and his crew, they arrived when they said they would, they completed the job when they said, and respected my property (treated it like it was their home). I actually had Matt do more work than I had originally planned because he was so thorough. I felt comfortable with this crew, they were tremendous! I would recommend this company, very accommodating and attentive to detail. If I have the need I will call on Matt again. I am extremely please! I am very pleased with the work Carolina Weatherization did for me in January 2016. They sealed leaks and blew insulation into the attic. All of the workers were professional and courteous. They did what they said they would and Mr. Phillips checked the work. I could tell the difference immediately. My rebate application was submitted promptly. I am happy with the quality and integrity of this company. Matt is very knowledgeable and professional. He did an excellent job for us. I highly recommend Carolina Weatherization. The attention to detail that Carolina weatherization has is great. What they have in there company surpasses other companies. I'm very happy!!! This company replenished my faith that there are still high quality, dependable, trustworthy companies available. They are one. They contracted to provide my 65 year old home with good insulation from top to bottom including my HVAC ductwork. They also replaced a very old pull down stairway to the attic. They exceeded my expectations. They even provided before and after photographs of their work so I felt I had crawled under the house and into the attic with them! They arrived on time, did not leave until their goal for that day was accomplished and cleaned up before vacating my premises each day. Richard, the crew chief for my job was with the job throughout and was always professional and knowledgeable. I would definitely recommend them. I am extremely happy with the work that Matt and his crew did in insulating my bonus room. Matt carefully explained the how the materials they would be using would take care of the problem I was having and the end result looks great. They were on time, very courteous, and cleaned up everything before they left for the day. An excellent company to do business with and I highly recommend them. Matt was very involved and ensured that the project was "perfect" Perhaps not the cheapest in town but definitely delivered on promises and is an exceptional professional result! Affordable (had 3 other estimates), dependable (actually got to me early when someone else cancelled last minute) and did quality work (I crawled around and inspected work myself night before they finished...saw one minor issue, which they took care of themselves on last day without being asked). Would highly recommend to others. They weren't the lowest estimate I had...but it was apparent that they would do a good job and they delivered!!! Carolina Weatherization did a great job on the attic in our new home. Matt and team removed particle boards that were in the attic, raised the floor to accommodate 14" of insulation to get us to R49 rating, and installed new tongue in groove OSB flooring. They also installed a new drop down ladder and cap for the drop down. In addition, they found a place under our stairs which was missed by every other company that had no insulation and fixed that too. While the price was not the lowest we were quoted, the scope of work was by far the most extensive. No other insulation company would remove the particle board, raise the board, or install a new floor. Other companies suggested hiring a contractor to do all of that work and then they would come back and do the installation part. If you want quality work and one stop shopping definitely consider Carolina Weatherization. I would highly recommend them. Solved wet crawl space when others failed. Matt and his team did an excellent job,. 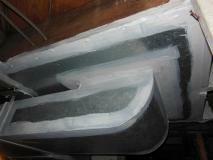 The crawl space was already sealed but still had water seeping from beneath the plastic. Matt re-engineer the design and also moved water away from the foundation. When it rains the crawl space stays dry. The price was also very reasonable. Matt had the job complete before other companies could even visit for a quote. Had Carolina Weatherization come out to add insulation and seal our ducts in our attic. They were prompt, courteous, and efficient. Even better they helped us fill out our Duke Energy Rebate Paperwork and mailed it in to Duke within a week of our service! Matt and his team was great! Our house is old and rambling with a crawl space varying from 4 ft to not much more than a foot in height. These folks managed to seal the whole crawl space that no other company would even consider. They blew insulation into places I wouldn't have thought possible in the attic without tearing things up. They even clean up after themselves quite well. House is much more comfortable and draft free since they finished. Important note that they stayed in the budget they estimated! They worked worked within our schedule which included a six week break while we traveled. We couldn't be more pleased. All associated with this company were very professional and competent. They addressed all of my questions and updated me at the end of each day. They always reported to work on time and cleaned up at the end of each day. Matt made sure all work was done in the appropriate manner and followed up with me throughout the process. Would highly recommend this company to others. Matt and his team provided excellent services for attic sealing, insulation and radiant barrier installation. His quote was fair and competitive and the completed price was exactly as quoted. The team was neat and efficient. Matt recommended some additional services as the job progressed, which I appreciated. Carolina Weatherization did a wonderful job of turning my home's damp, moldy crawlspace into a clean, dry, and sealed part of my house. Matt's crews arrived when he said they would, worked efficiently, and courteously informed me of their progress and next steps. Matt responded to all my questions quickly, and provided in-depth information about the work and benefits of the whole process. He installed a wireless temperature and humidity monitor I can view in my home, and I've been watching the humidity steadily decrease from 69% after installation to 59% right now during these warm, rainy summer days. The humidity is lower inside my home as well! I just can't say enough good things about this company, about Matt, and about how much better I feel knowing my crawlspace is dry, clean and sealed! Crew showed up on time and worked diligently and kept me in the loop as to what was going on. Crew was courtesy and professional at all times. 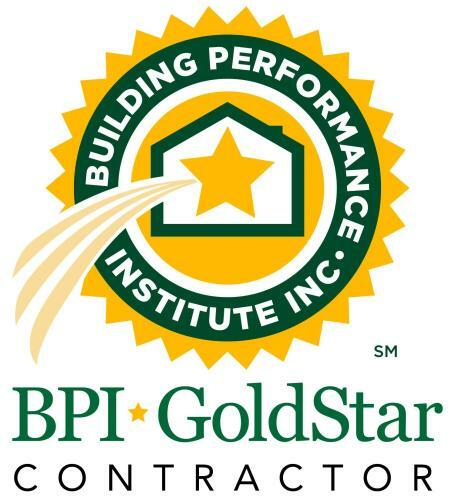 I was pleased with the overall experience of working with Carolina Weatherization, from the preview of our home, accuracy of the quote, courtesy and respect of the installers, and quality of the work done. The crew at Carolina Weatherization was very professional and they paid attention to detail. Didn't ask for payment until the job was done. My house feels and sounds much better now. © Carolina Weatherization. All rights reserved.